Get the CBSE Class 10th Mathematics, Surface Area and Volume: Important Questions & Preparation Tips. Get the CBSE Class 10th Mathematics, Surface Area and Volume: Important Questions & Preparation Tips. This will help with a precise description of the whole chapter along with a gist of each topic covered in the chapter. The Questions mentioned are exclusively topic oriented and are famous for its repetition in many Board papers. Consider the below mentioned points and questions at the time of preparation. 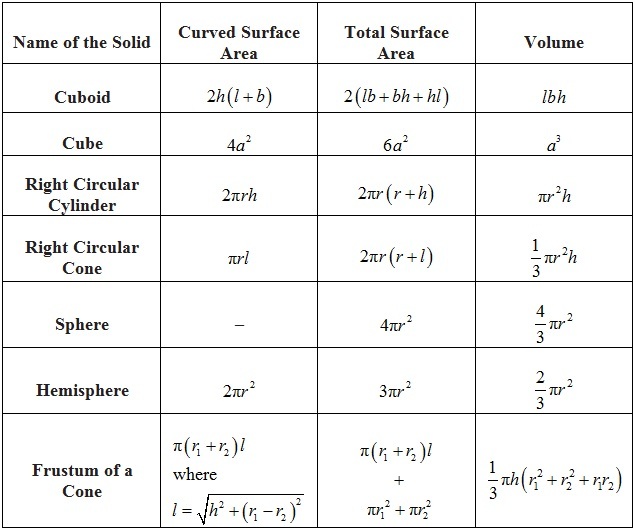 Two or more standard solids can be converted or combined to form a new solid of different shape.